Three Brazilian music legends come together in a very unusual project – a record that features famous songs by all three artists, each performed by one of the other singers – in a setting that's got all the sophisticated warmth of the best projects on the Biscoito Fino label! 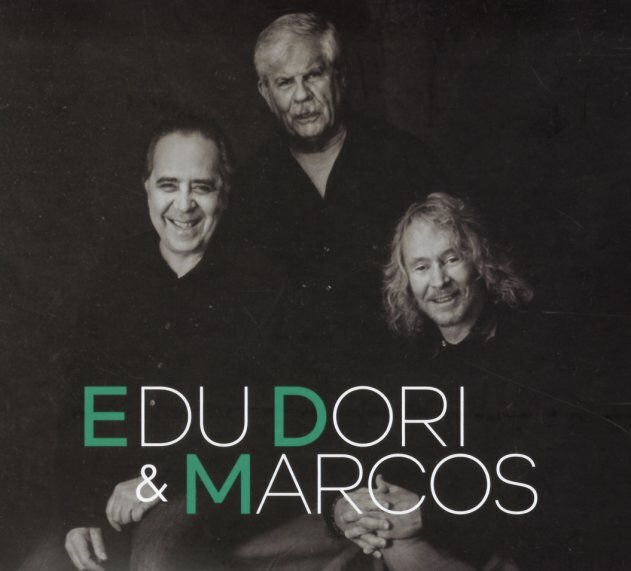 There's an undercurrent of jazz in most of the music – which makes for nice changes from the original versions of the songs – and arrangements here are by Cristovao Bastos, Dori Caymmi, and Marcos Valle – who handles all the songs that feature his own vocals. There's a mature, thoughtful approach to the whole album – perfectly fitting for the list of songs that include "Saveiros", "Velho Piano", "Dos Navegantes", "Corrida De Jangada", "Passa Por Mim", "Canto Triste", "Alegre Menina", "Bloco Do Eu Sozinho", "Na Ilha De Lia No Barco De Rosa", "Viola Enluarda", and "O Amor E Chama". © 1996-2019, Dusty Groove, Inc.